SHREVEPORT, LA — Centenary’s Magale Memorial Library will host a traveling exhibit from the National Institutes of Health, All of Us, on Thursday, April 11, from 10:00 a.m. to noon. The exhibit, which will be displayed in Magale’s foyer art gallery, is presented in conjunction with the Health Sciences Library at LSU Health in Shreveport. The exhibit is free and open to the public. The LSUHSC Shreveport Health Sciences Library has received an Individualized Health Information Program Award from the National Network of Libraries of Medicine to promote genetic consumer health information resources available from federal agencies. The current project associated with the award, All of Us, aims to speed up health research and medical breakthroughs by creating a research community of one million people who will share their unique health data. All of Us Participants can decide how much or how little information to share. Data collected during the project will be stored in a database that can be accessed by approved researchers, who will use the information to explore how factors like environment, lifestyle, and genes can impact health. 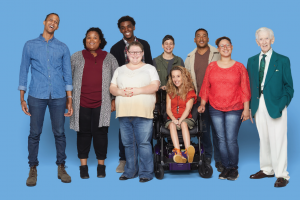 The All of Us Research Program is part of the Precision Medicine Initiative that aims to develop new medical treatments that are unique to individuals and reflect the rich diversity of human experience and genetics. More information about All of Us is available at joinallofus.org.